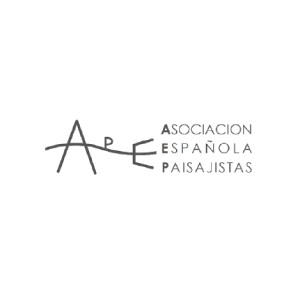 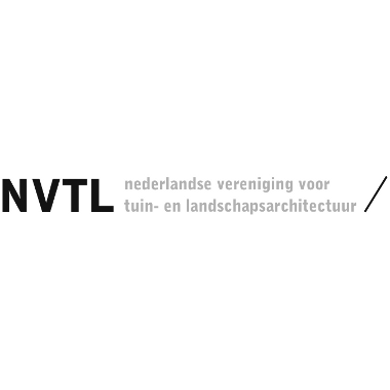 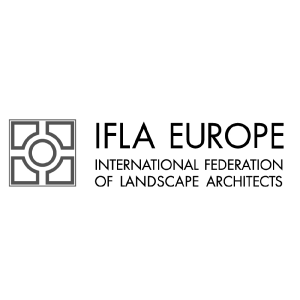 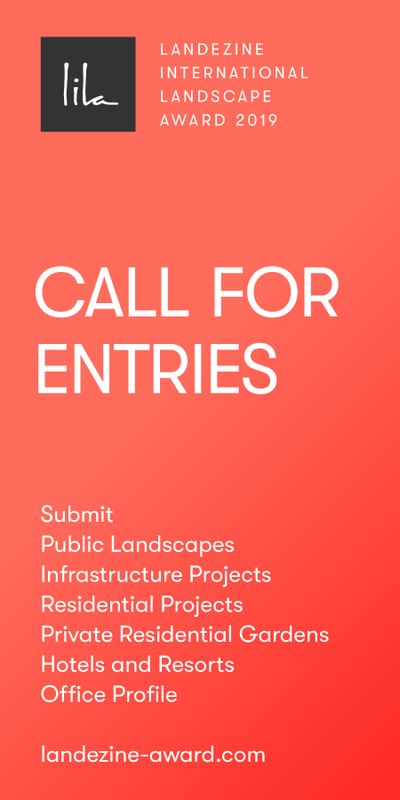 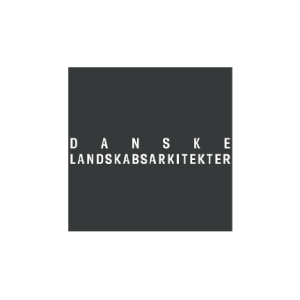 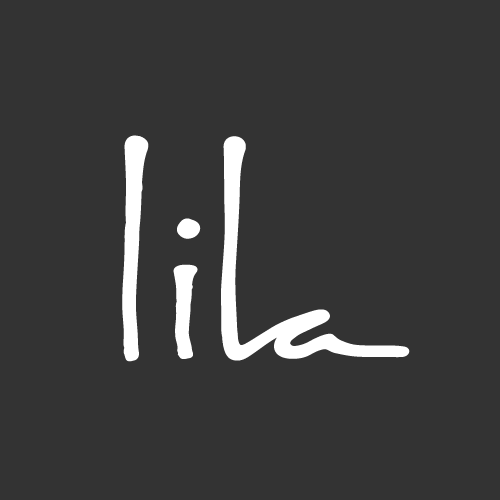 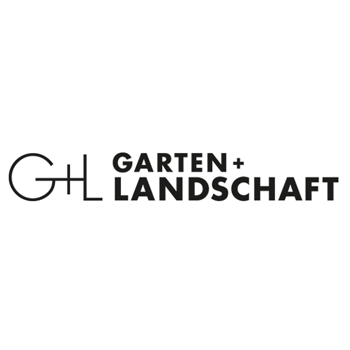 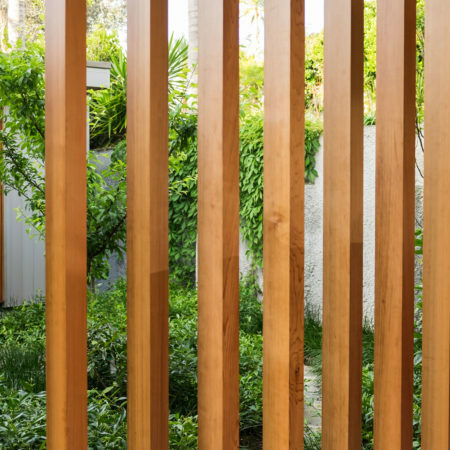 The project is submitted for an award for it’s ability to achieve a beautiful and gentle garden space that enriches diversity and limits its footprint on the land. 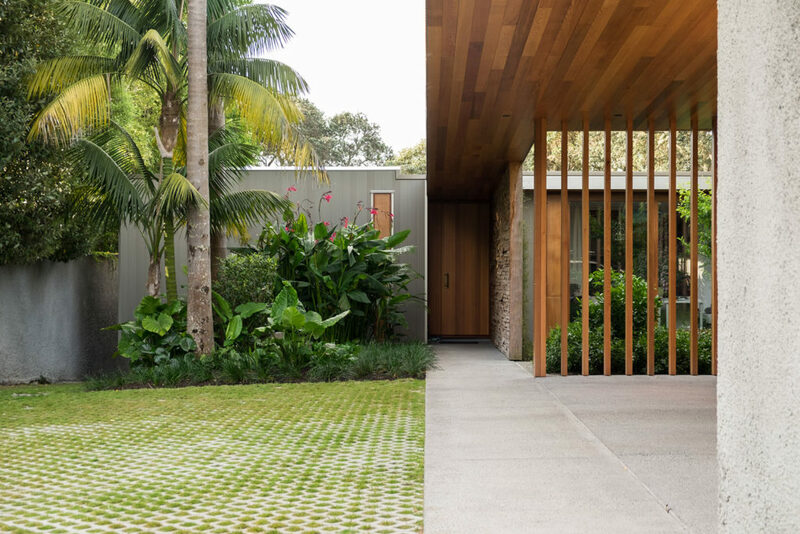 The balance between richness of species and minimising built structure to create enduring spaces makes it an exemplar for modern suburban life. 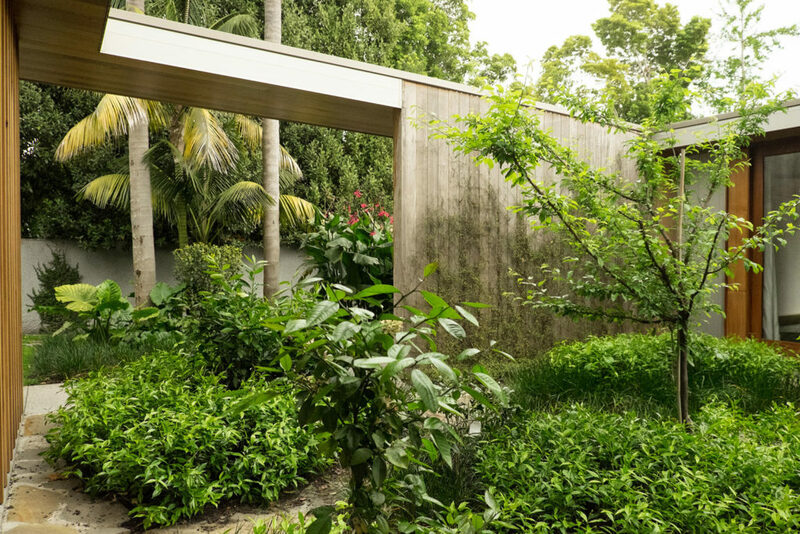 The landscape weaves its way through the house creating a secluded series of intimate spaces and rooms that separate the individual living spaces. 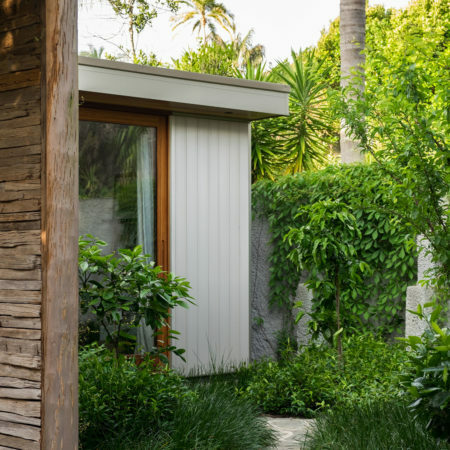 The intention is that each space creates views and intimacy from both within the house and when within the garden spaces. 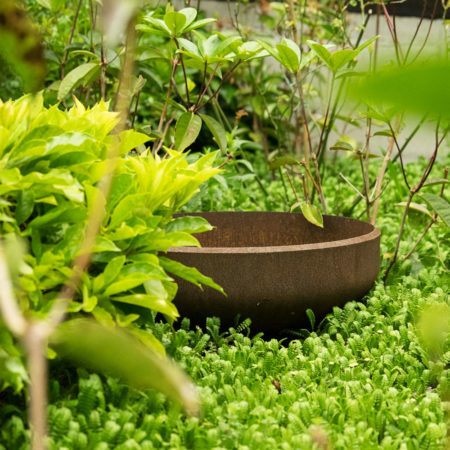 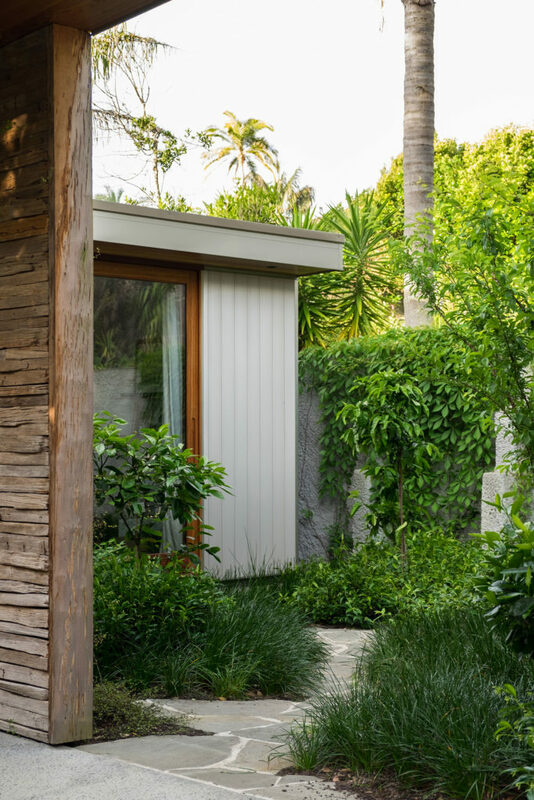 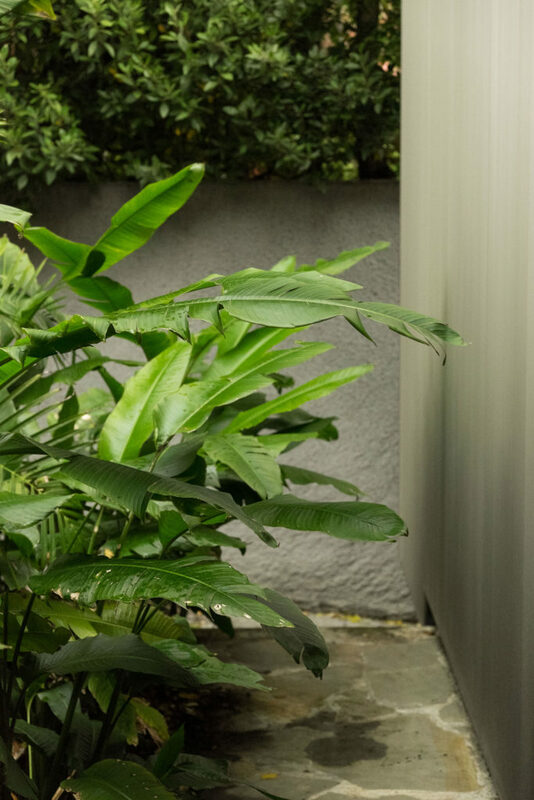 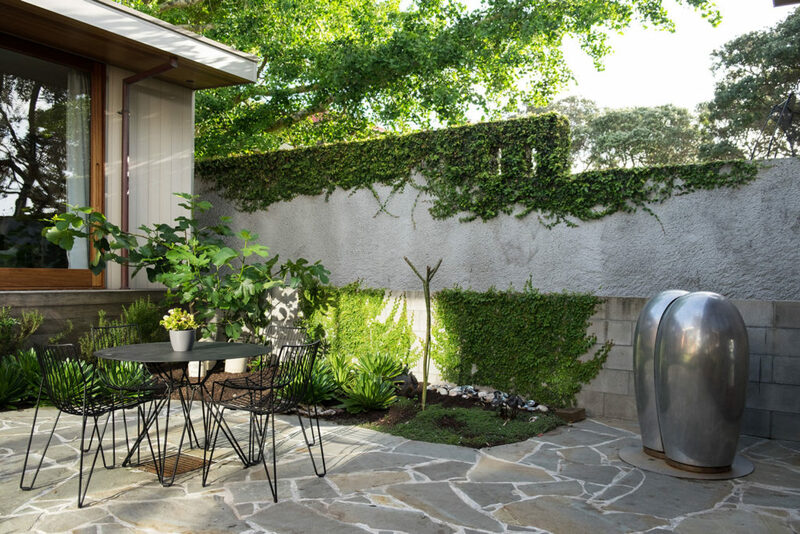 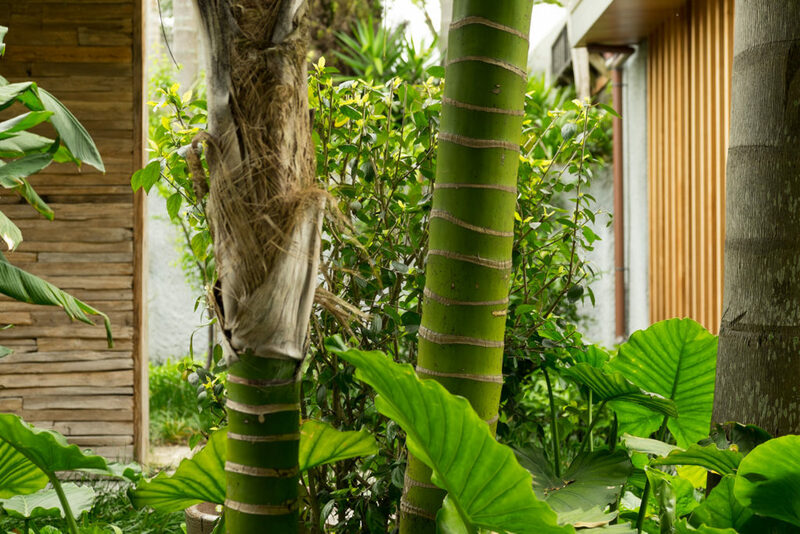 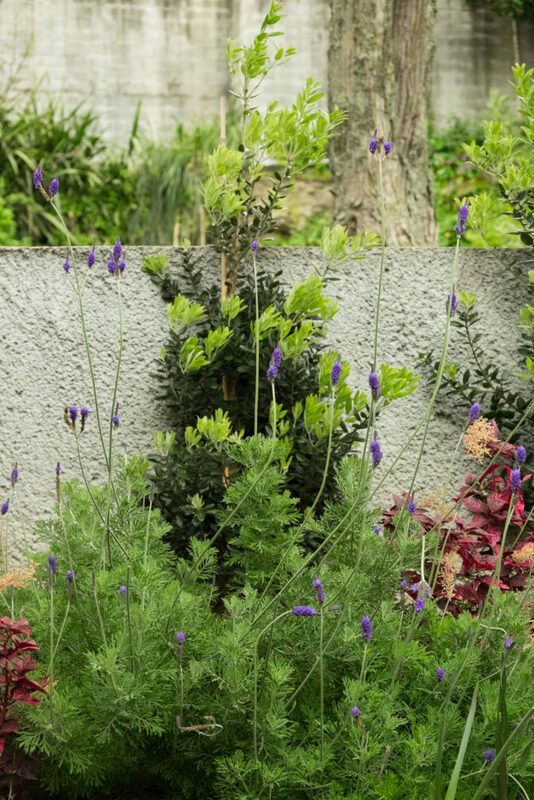 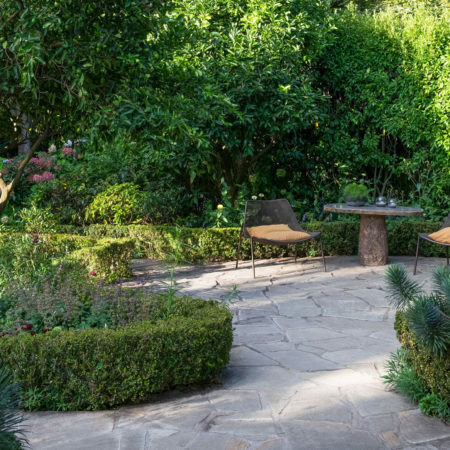 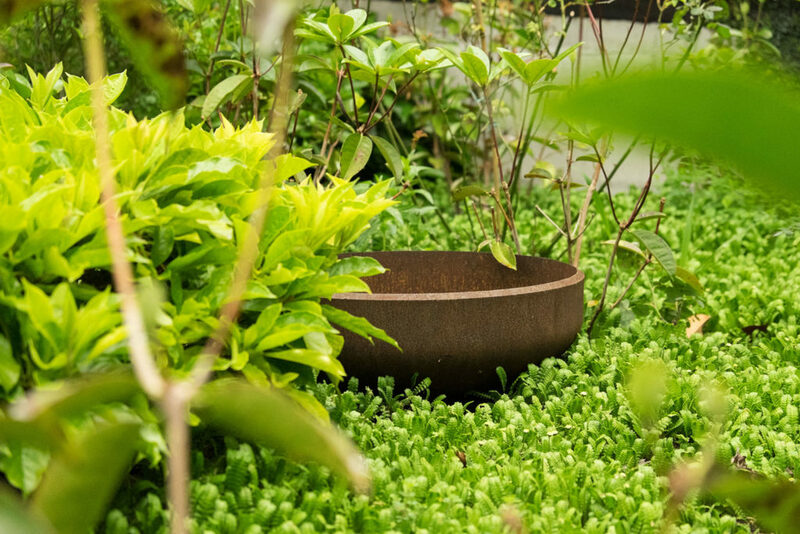 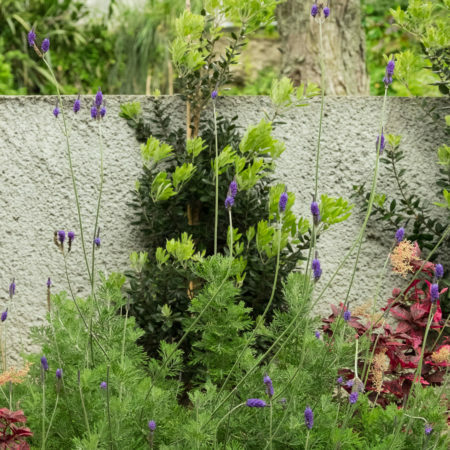 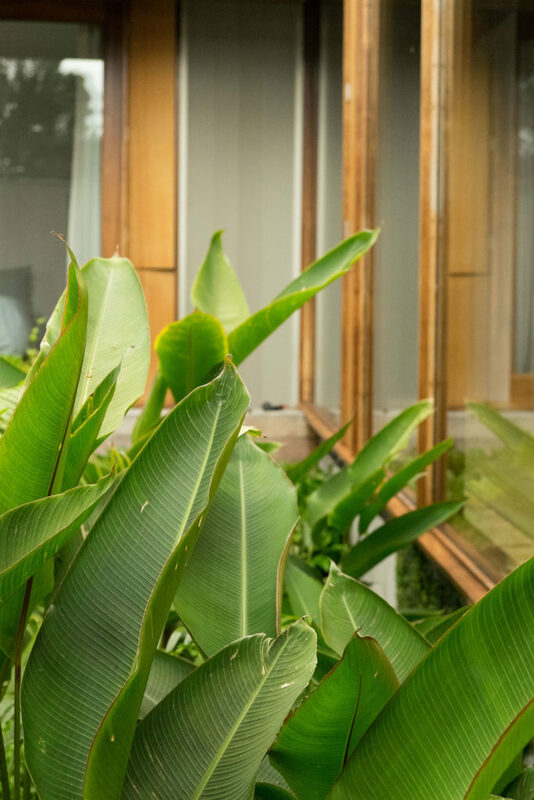 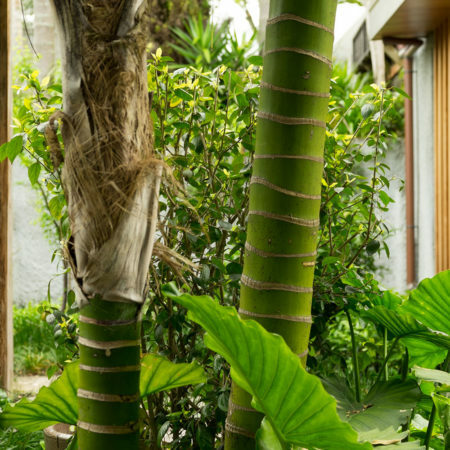 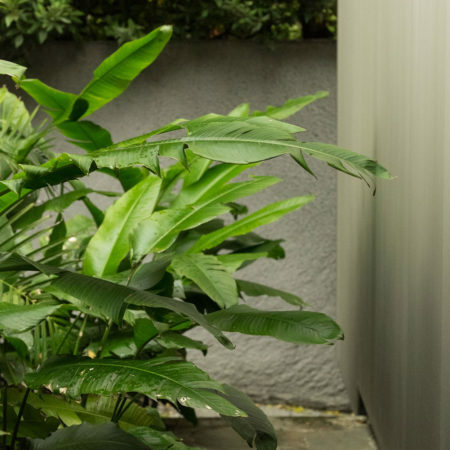 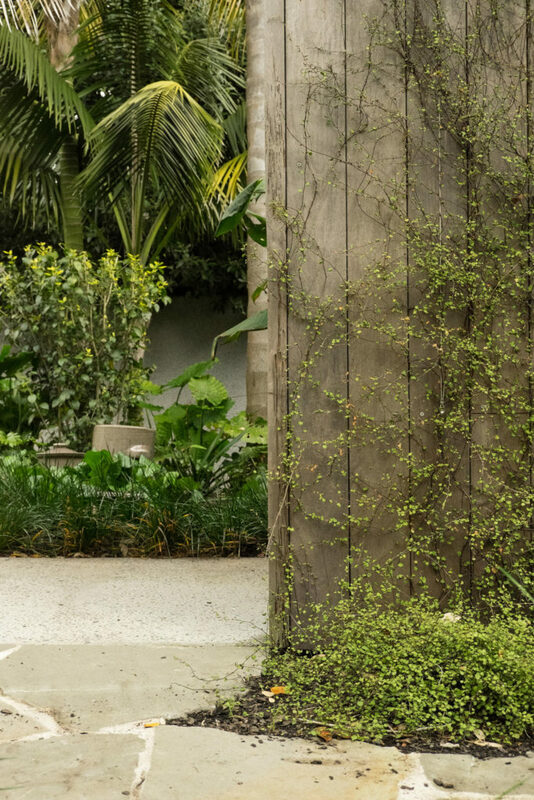 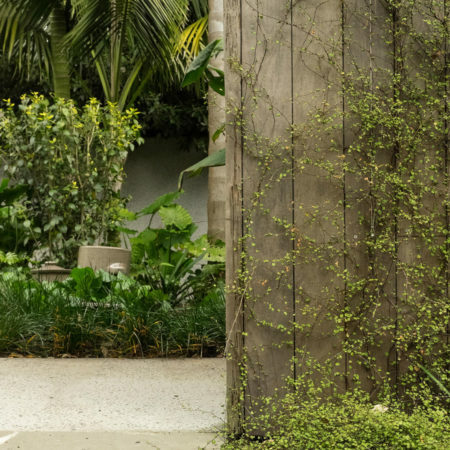 The garden seeks to create a gentle relief from the architecture with soft organic forms and eclectic combinations of plantings to create a rich and diverse environment. 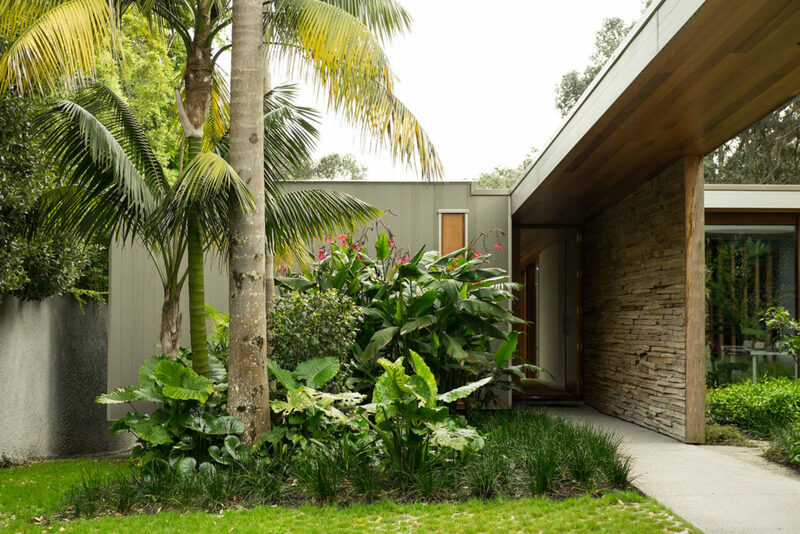 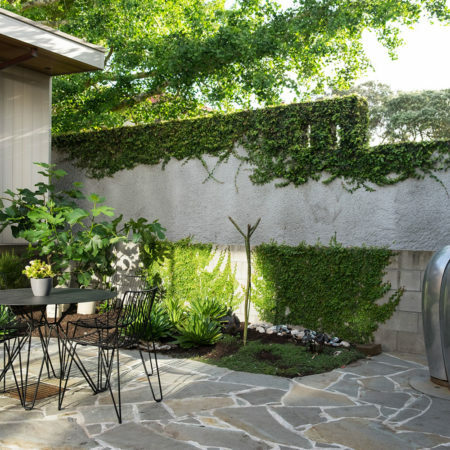 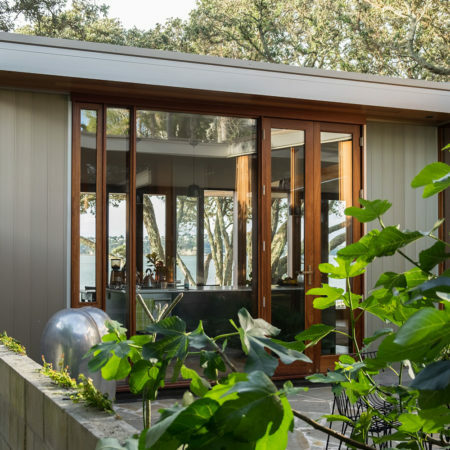 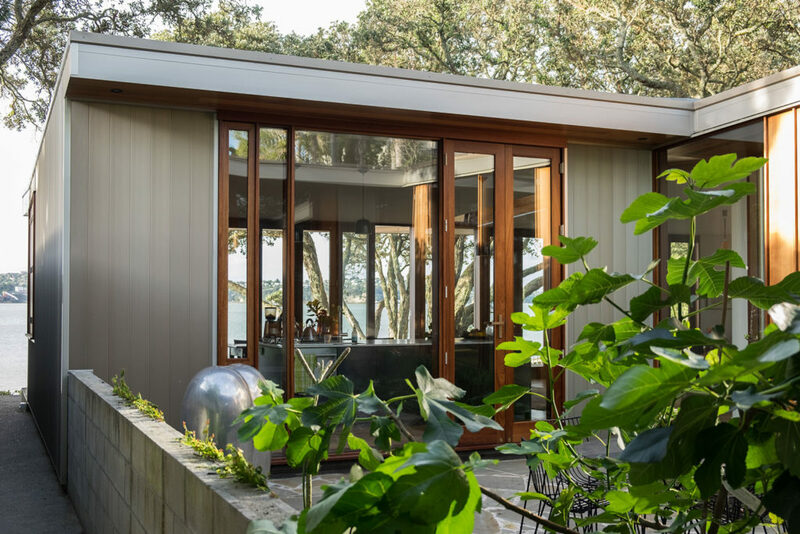 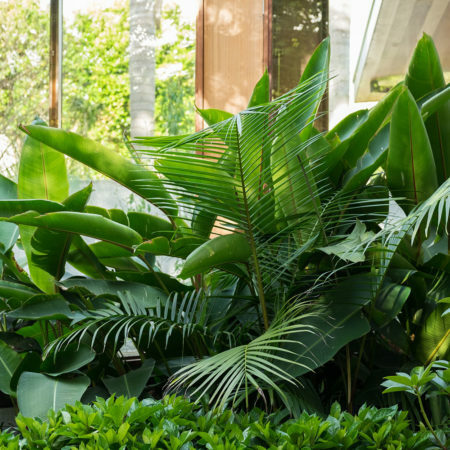 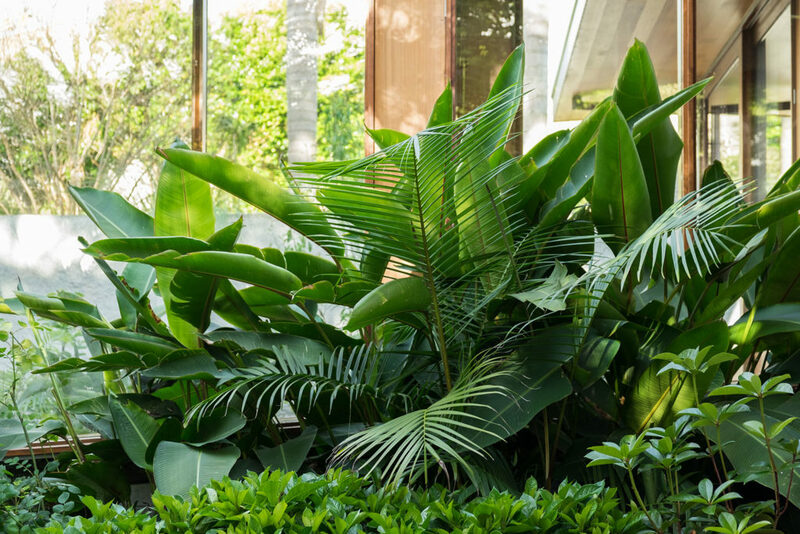 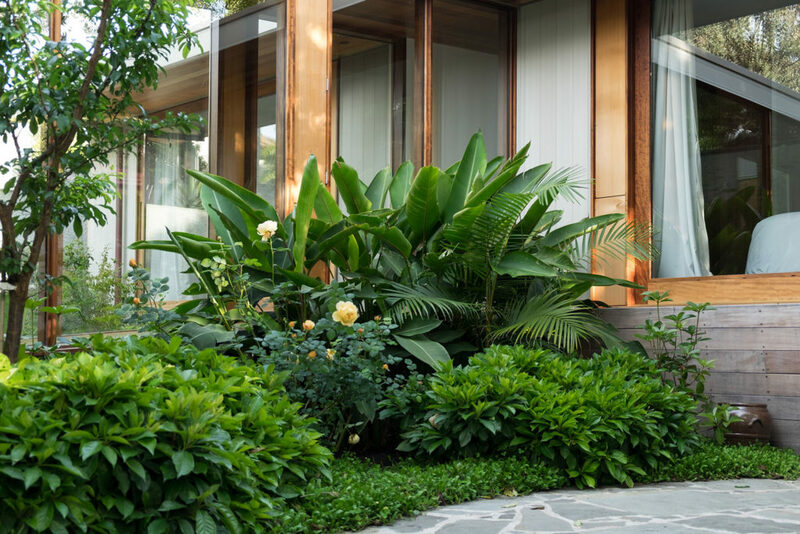 The plant palette includes native New Zealand plants, blended with edibles, roses and tropical plants to create a changing but evergreen delight from the various views. 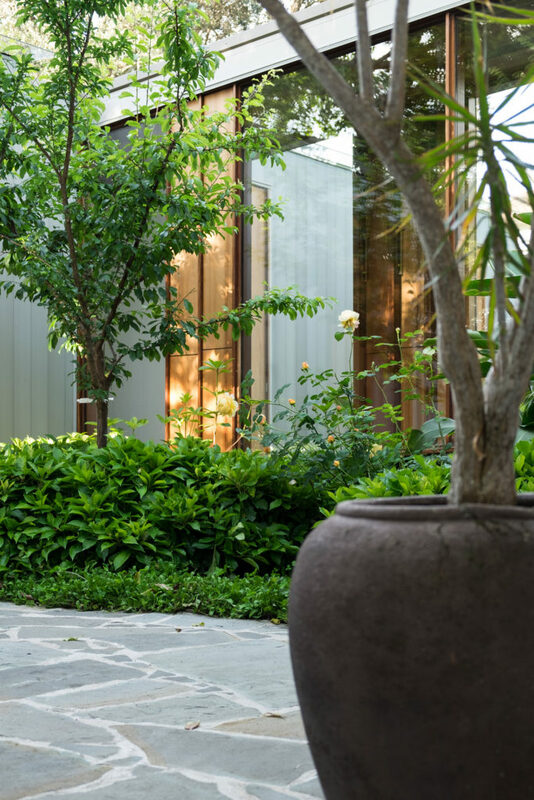 The rich collection of plants draws on the tradition of the courtyard as an oasis of colour, scent and fruits. 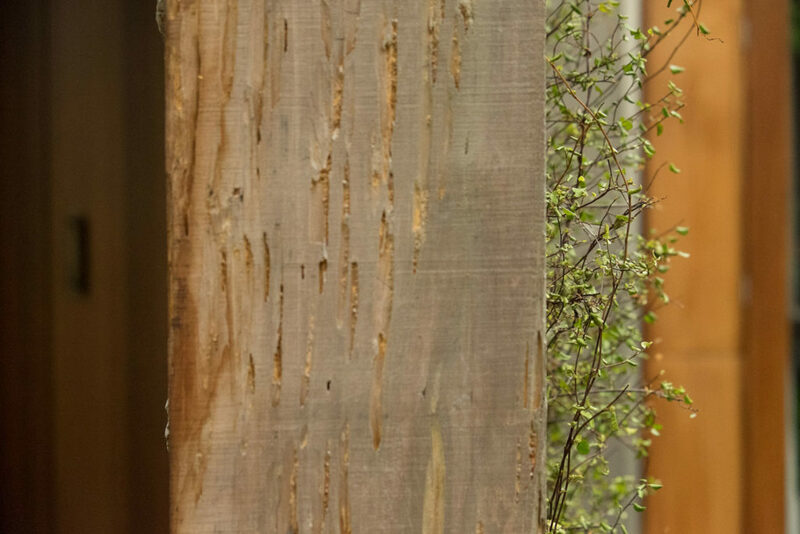 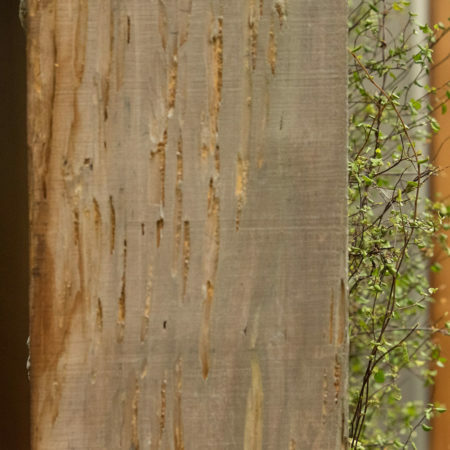 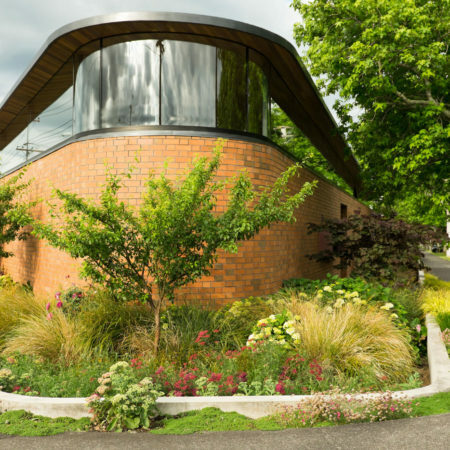 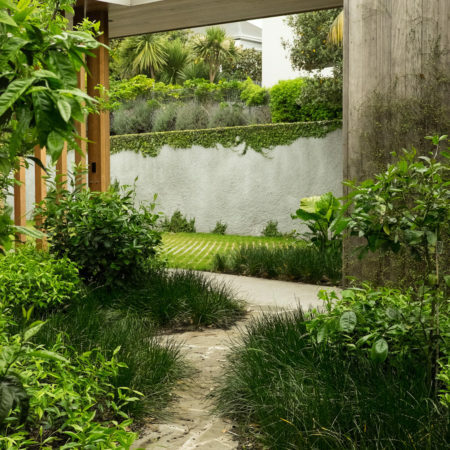 It uses this concept to allow a richer range of material than would traditionally be combined in a New Zealand garden. 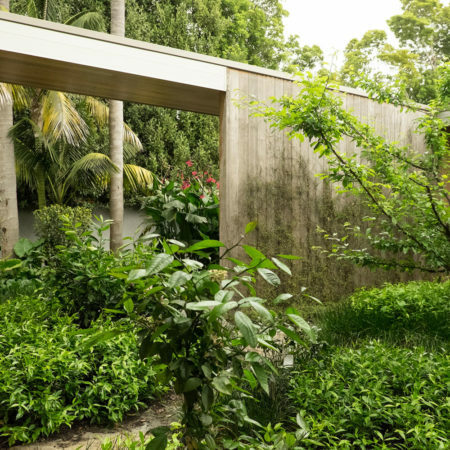 This broader palette aims to create a sense that the space has been layered and gardened over time rather than contrived. 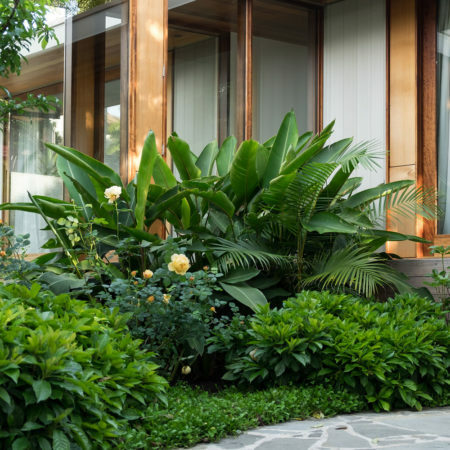 This in term is intended to create a sense of timelessness that an individuals garden often captures in a way a designer garden can sometimes fail to achieve, regular patterns in planting were interrupted with disruptive moments where an unexpected rose is placed against a lush leaf imperfections that humanise the garden. 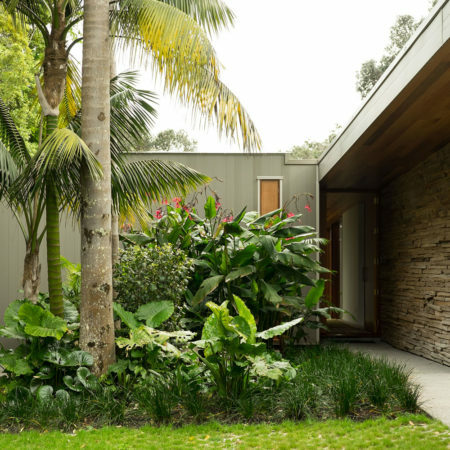 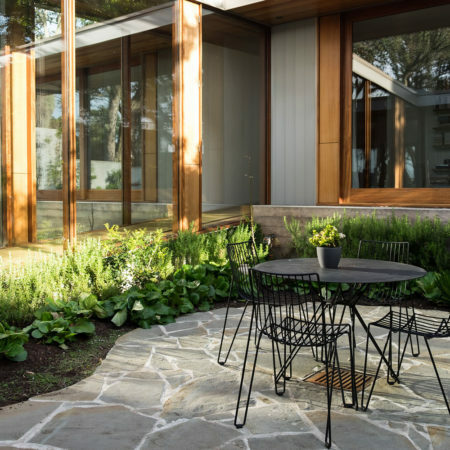 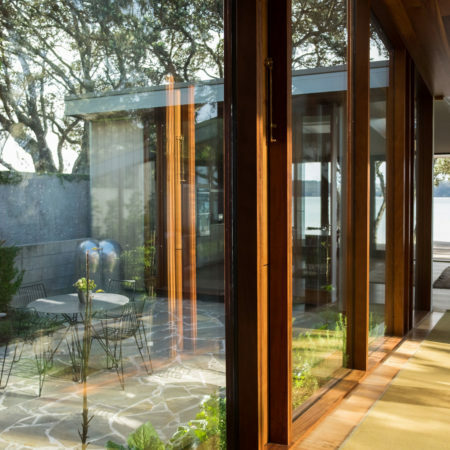 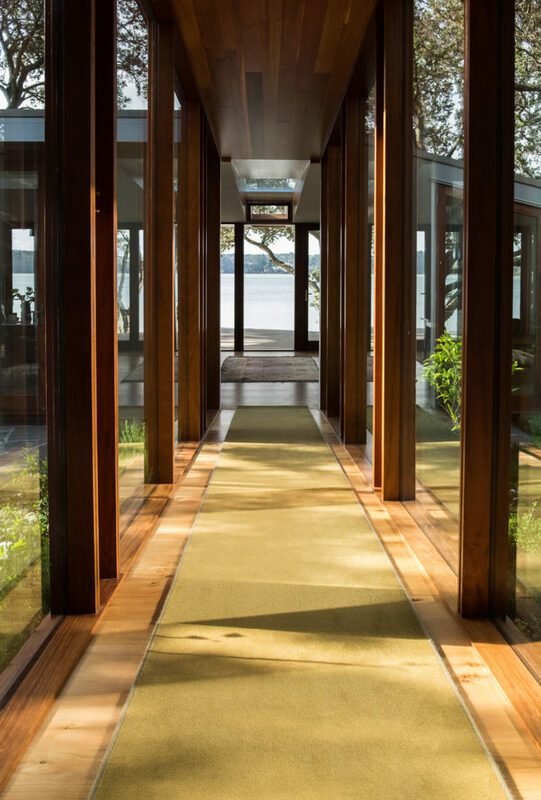 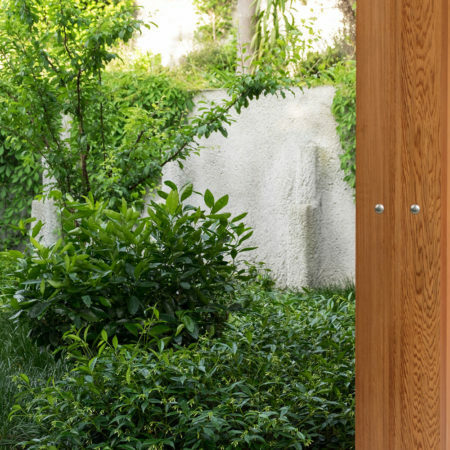 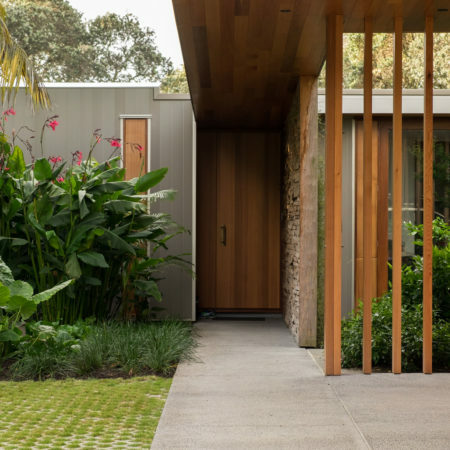 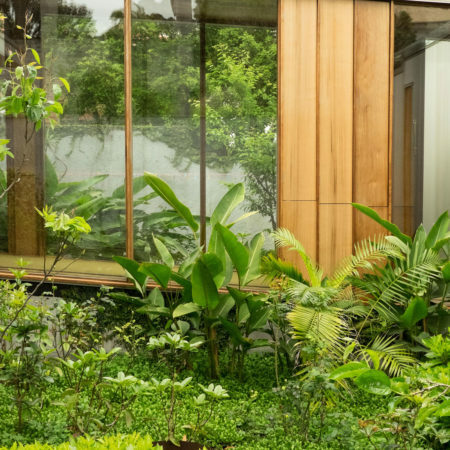 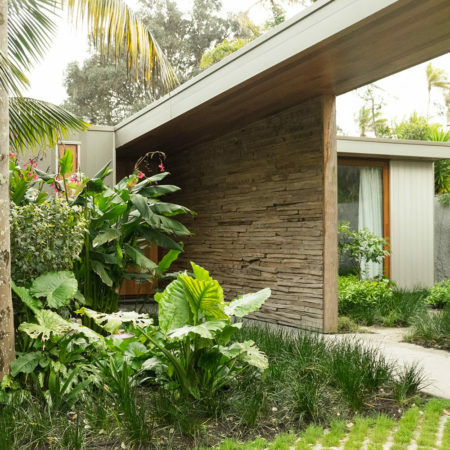 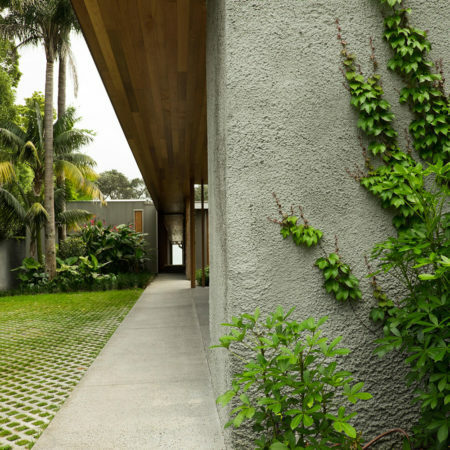 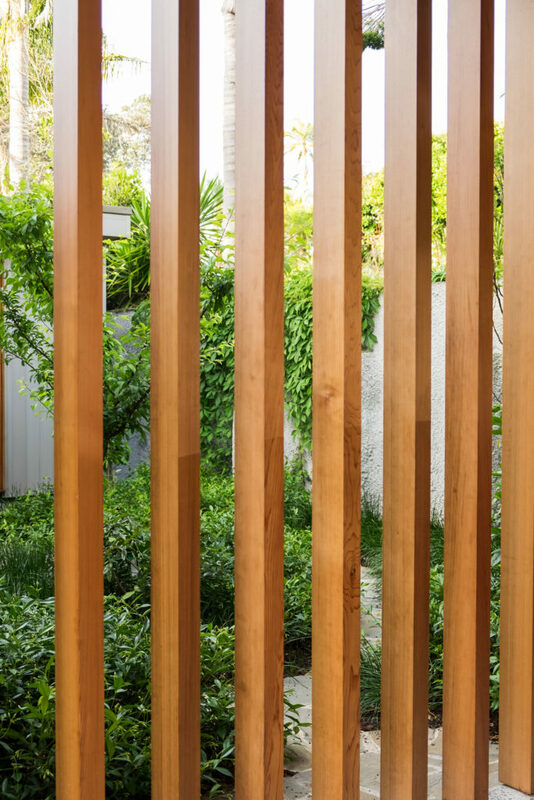 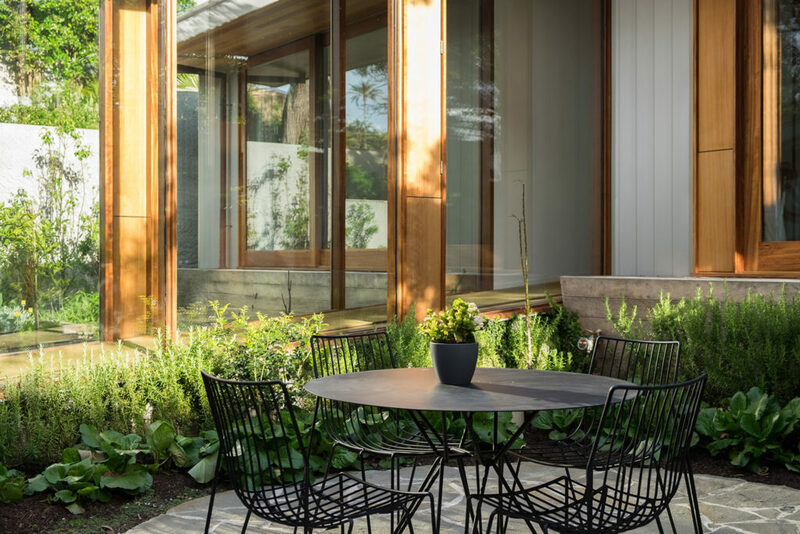 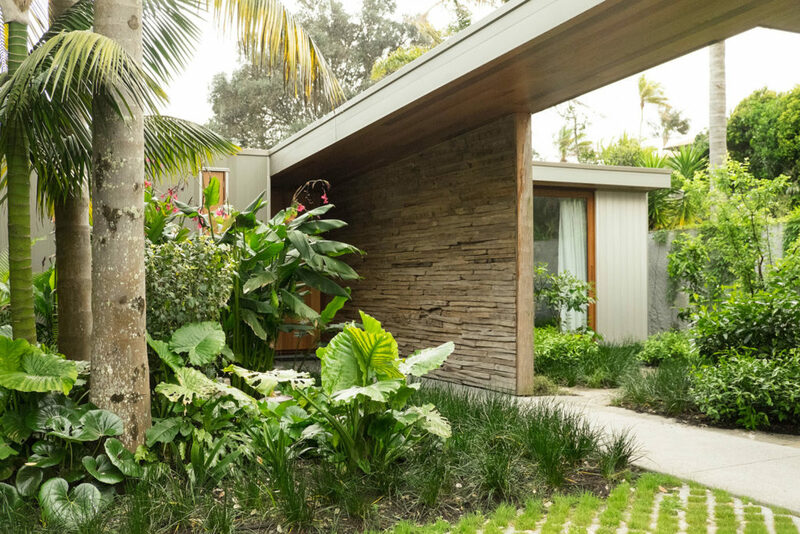 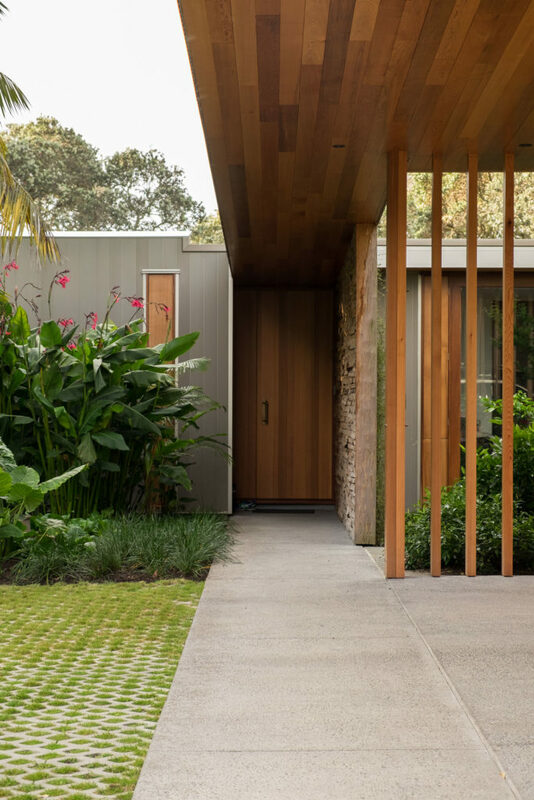 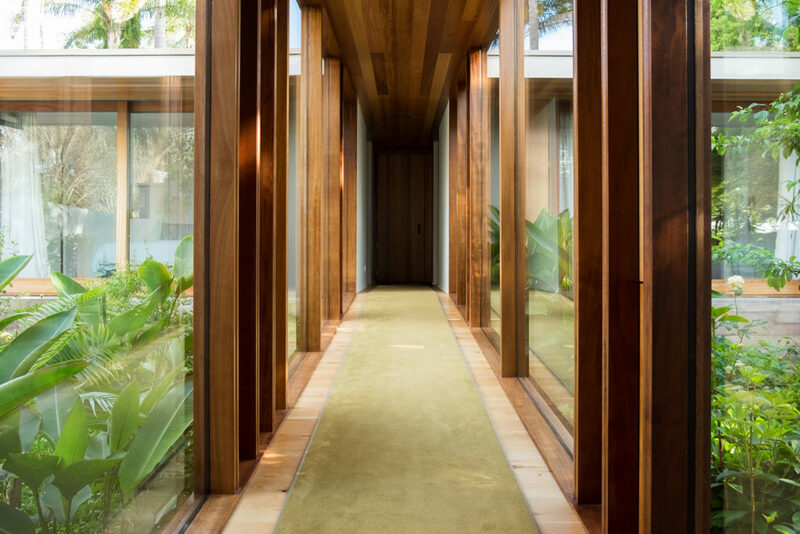 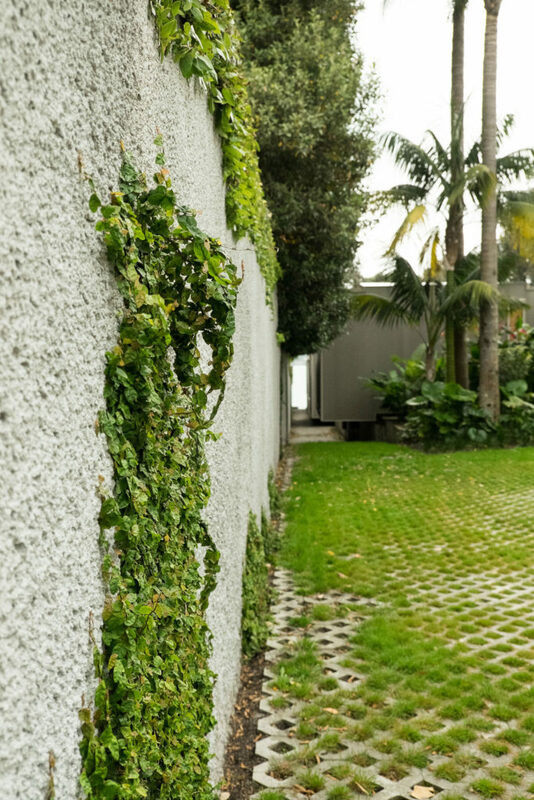 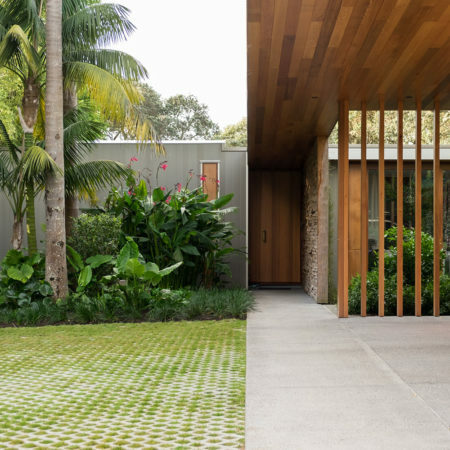 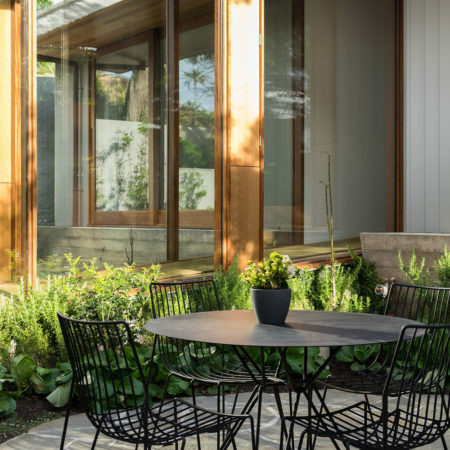 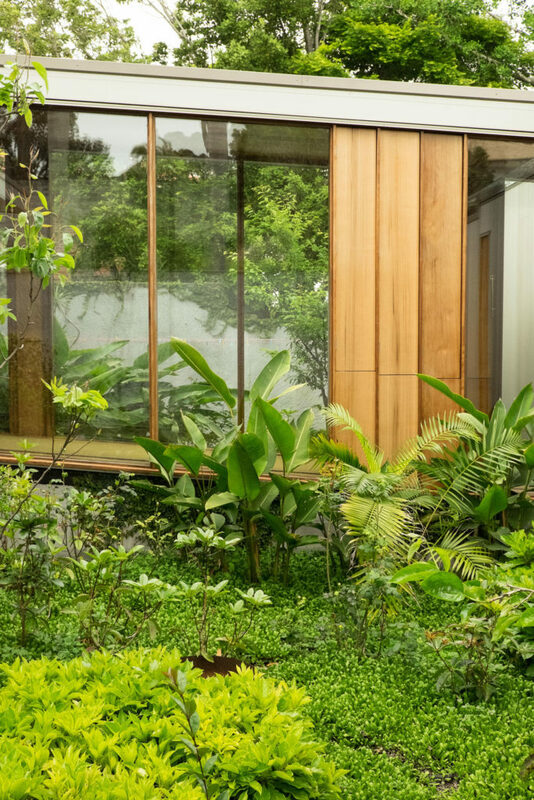 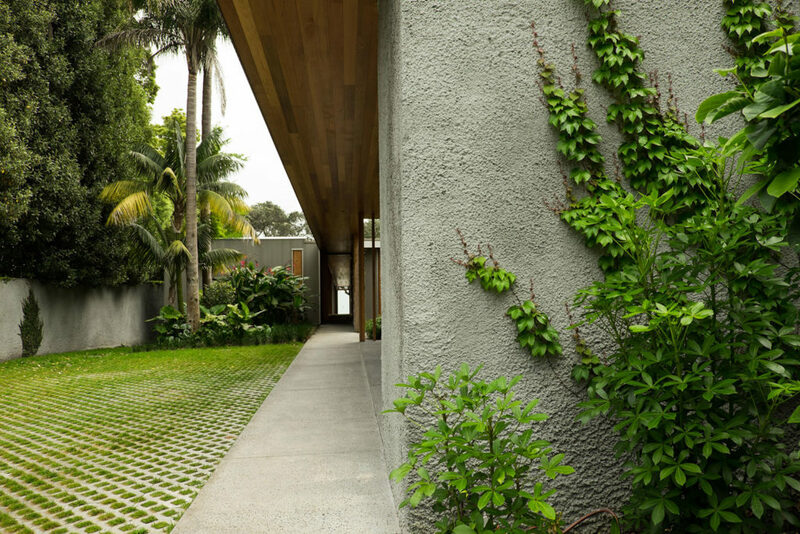 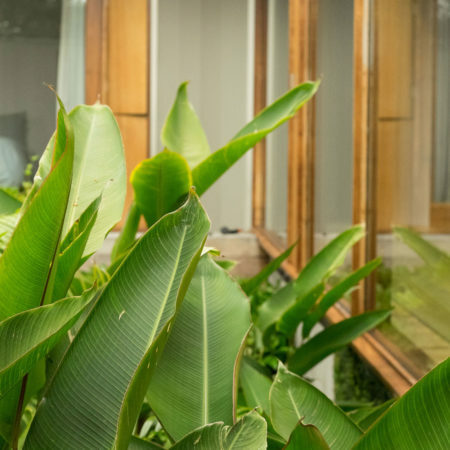 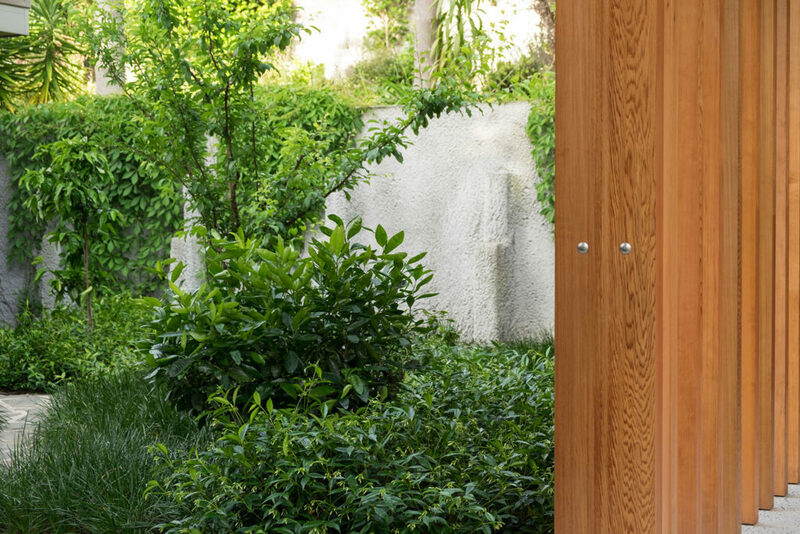 The architectural elements of the garden avoid the straight line so the soft organic nature provides a Yin to the clean shapes of the house with the exception of the front path which pulls the central corridor that runs through the home out into the garden to the front gate. 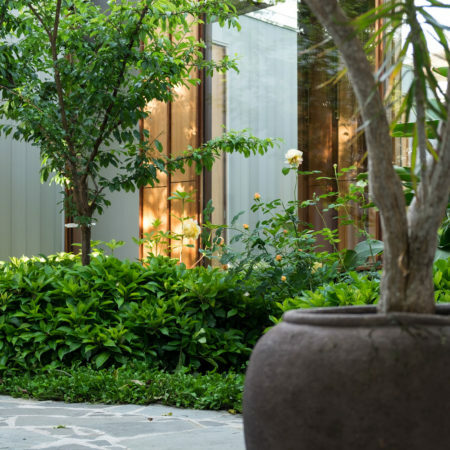 Every courtyard follows a different pattern and quirk which also helps to create the intimacy one feels when connected with the human hand. 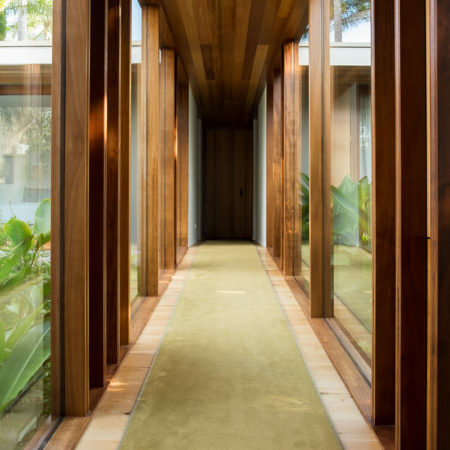 That said the views from within the central corridor, the individual rooms and the spaces themselves are considered in all direction as are the moments of colour considered to rather than bloom in a moment of time to other a constantly changing experience as season passes. 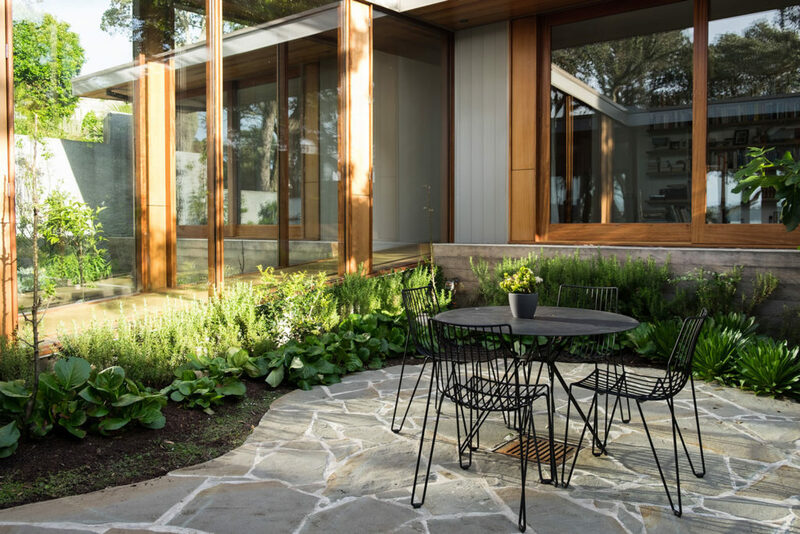 The selection of local stone allows the forming of complex organic shapes within the geometric spaces and the ability to cover impervious areas as needed while making space, cracks, crevices for planting where ever an opportunity allows. 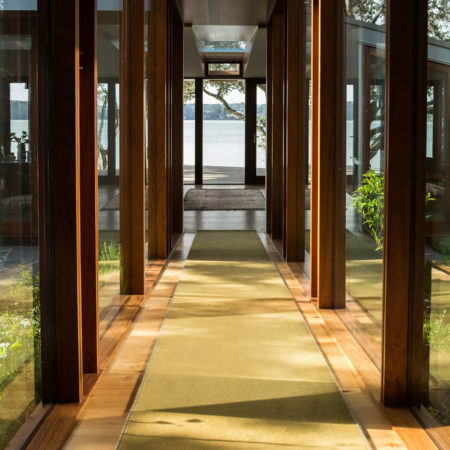 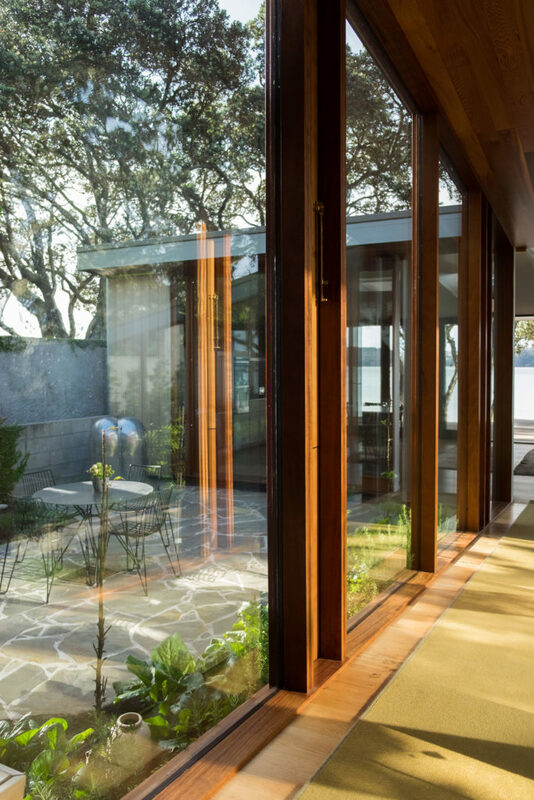 Where the house connects with the sea and opens out the complexity is removed and replaced with simple large brushstrokes of natives that are common to the coastal harbour the sit beside and the individual is removed from the experience of the garden and replaced by the natural environment. 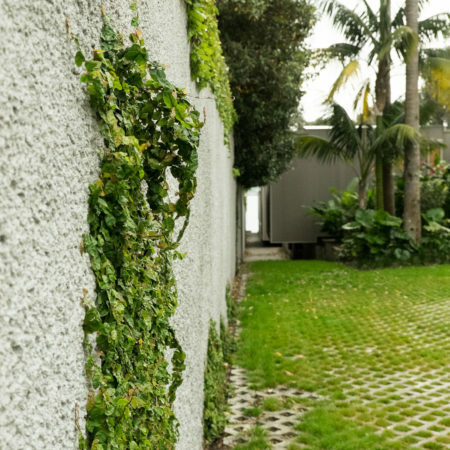 Hard surfaces are replaced where possible with permeable materials such as turf blocks to reduce create a gentle and breathable landscape but allow vehicle access to parking and garaging. 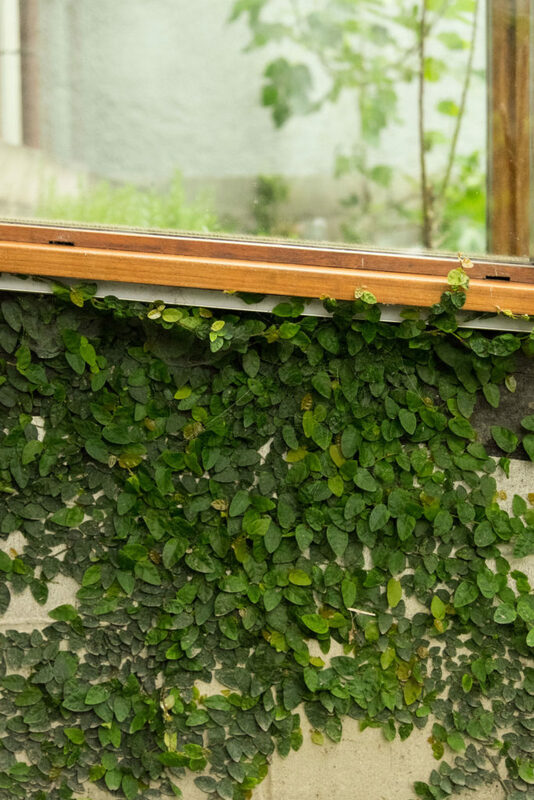 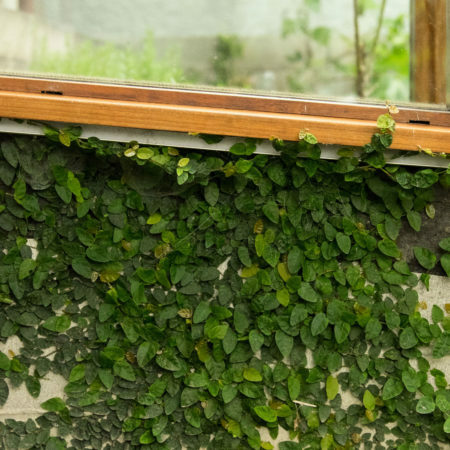 Where possible old existing walls belonging to previous buildings on the site were retained and greened with creepers. 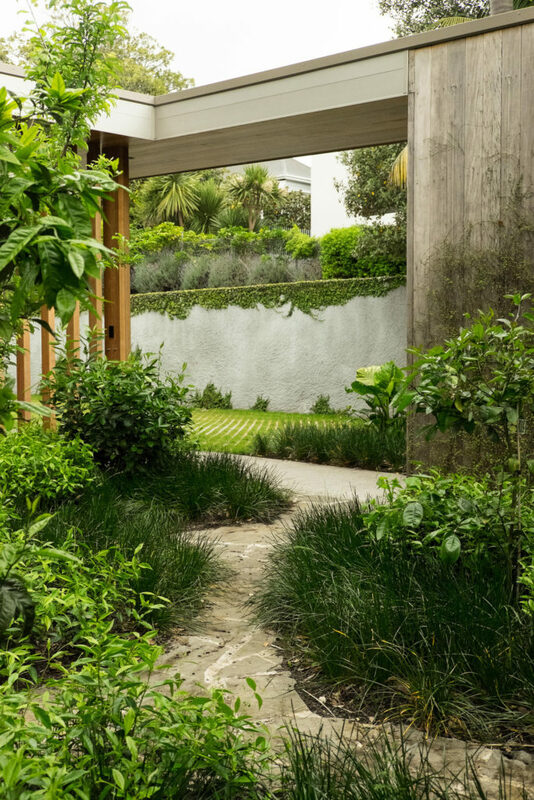 This both adds to the timeless nature of the design and minimises the footprint of the landscape.